What is the present GST rate tariff on Vegetable carving material, mineral carving material, carved wax etc? How much GST tax payable on Vegetable carving material, mineral carving material, carved wax etc? GST duty payable on Vegetable carving material, mineral carving material, carved wax etc? The below information details about GST rate tariff on Vegetable carving material, mineral carving material, carved wax etc. This details about GST rate tariff on Vegetable carving material, mineral carving material, carved wax etc is only for information.The validity of above information and amendments about GST rate on Combs and hair pins may be verified before any business dealing. 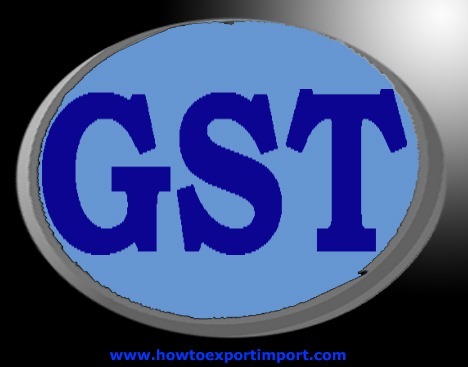 In this article the details of GST rate tariff on Vegetable carving material, mineral carving material, carved wax etc Would you like to add more information about GST rate tariff on Combs and hair pins? Share below your thoughts about GST rate tariff on Vegetable carving material, mineral carving material, carved wax etc.